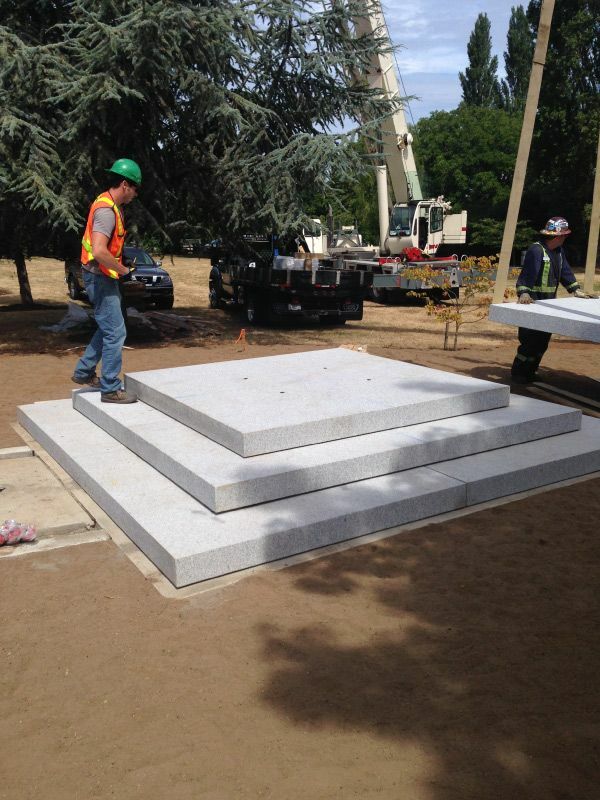 Mortimer's Monumental Works Ltd has the ability to provide superior civic monuments for public locations, including works of various sizes and for many purposes. Although we are located in Victoria, BC, we can ship our products to Vancouver, other provinces in Canada, and the United States. We also offer a wide variety of options to fit every budget. 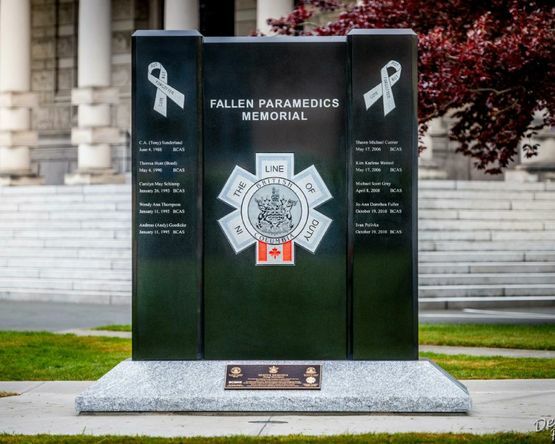 On May 6th 2015 the Fallen Paramedics Memorial was dedicated on the lawn of the Legislature in Victoria, BC. 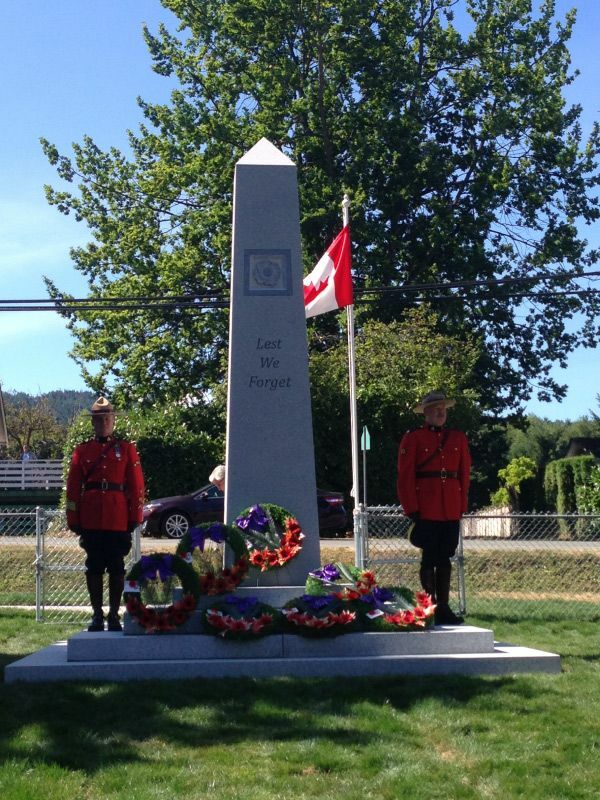 Mortimer’s Monumental Works Ltd. was commissioned to make and oversee the construction of this magnificent monument. 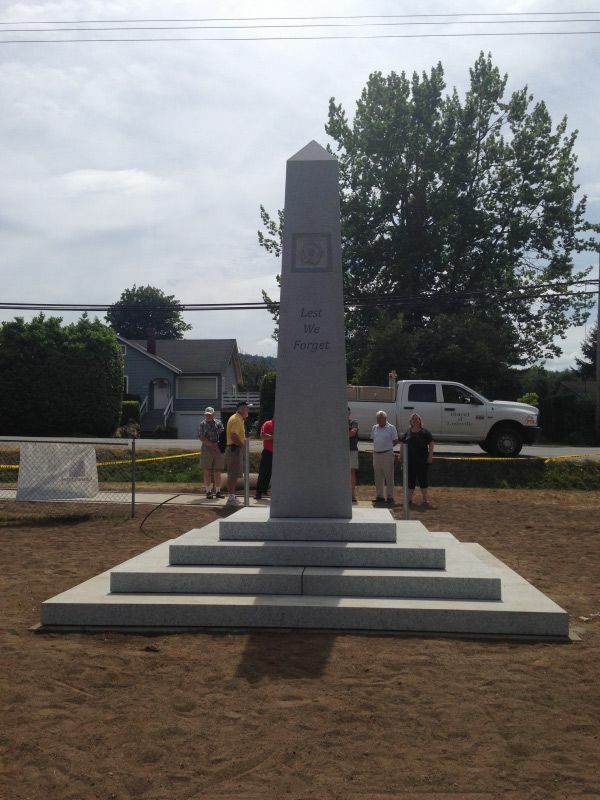 Photos of the Lantzville Cenotaph unveiled in 2014. 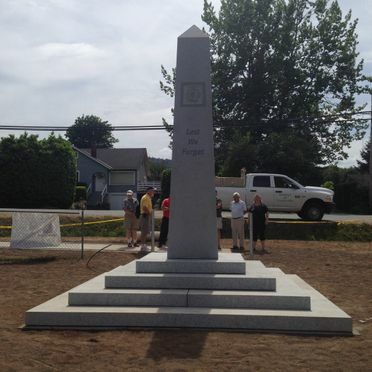 This monument is 14 feet high and weighs 31,000 lbs. When the Commonwealth Games were in Victoria in 1994, Mortimer's Monumental Works Ltd was commissioned to supply and install a granite plaque on the wall of the lower causeway. This 6,500 lb. 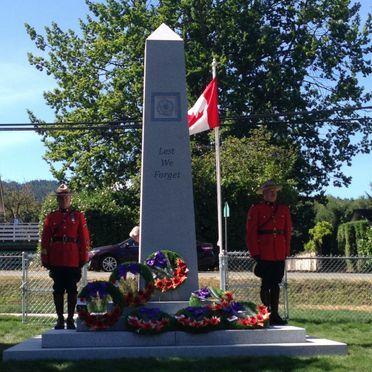 piece, 6' x 12' and 6" thick, holds the bronze flags of each country in the British Commonwealth. Other works are signage for airports, sports arenas and local historical attractions. We are able to assist you with the design and supply to suit your needs. 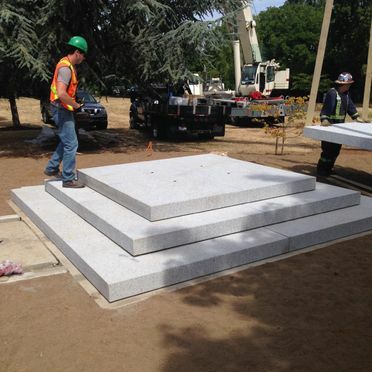 Let us help you with your civic memorial.